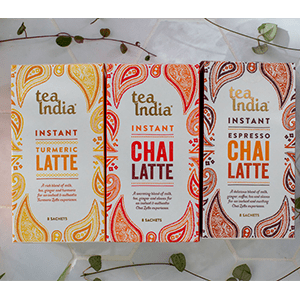 Hurry you can have the chance to get a free Tea India Latte Pack, there are 2,500 up for grabs. The pack will come with 3 latte flavours. Click GET IT HERE and add your details for the chance to win 1 of 2500 Tea India packs!